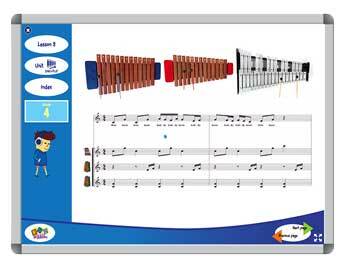 Aural training is important to build in Grade 4, as children become increasingly musically aware. 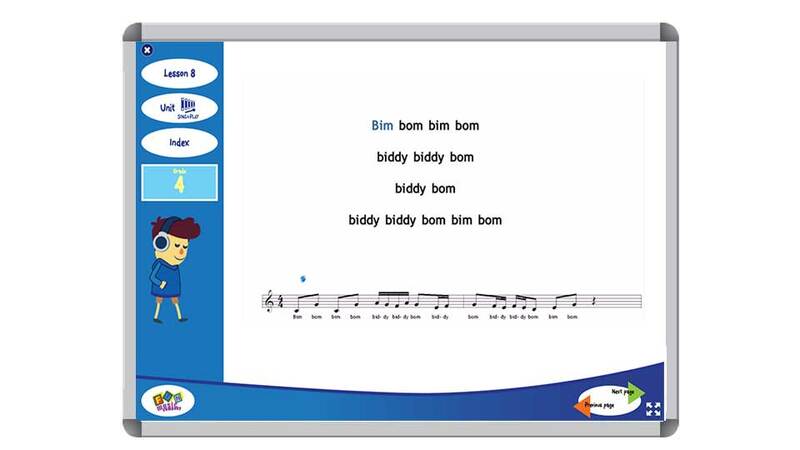 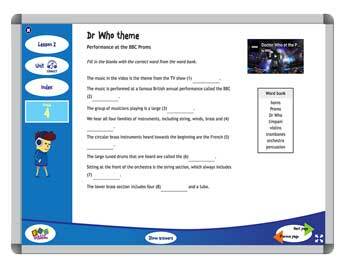 The students learn about essential elements of music such as rhythm, dynamics, tempo and timbre in their aural training activities in this unit. 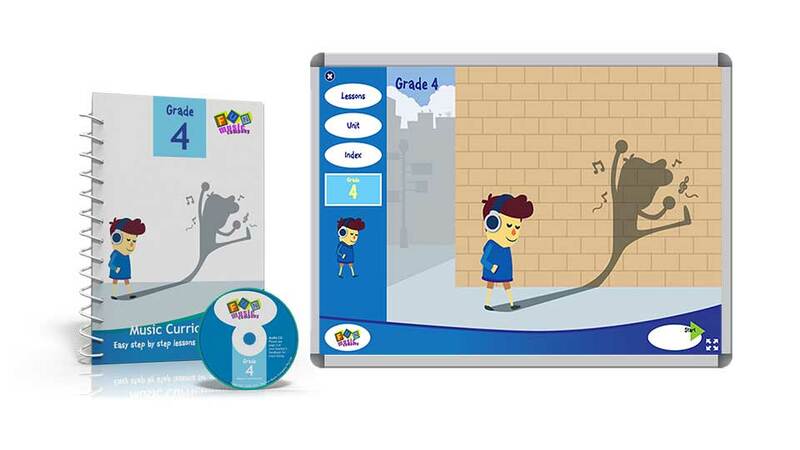 The Fun Music Company SING & PLAY unit for Grade 4 contains four fun and engaging folk songs, very carefully selected and arranged by classroom music experts. 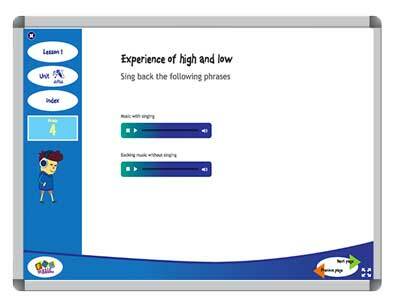 These songs are selected to meet the needs of the curriculum, while also being enjoyable and engaging for children. 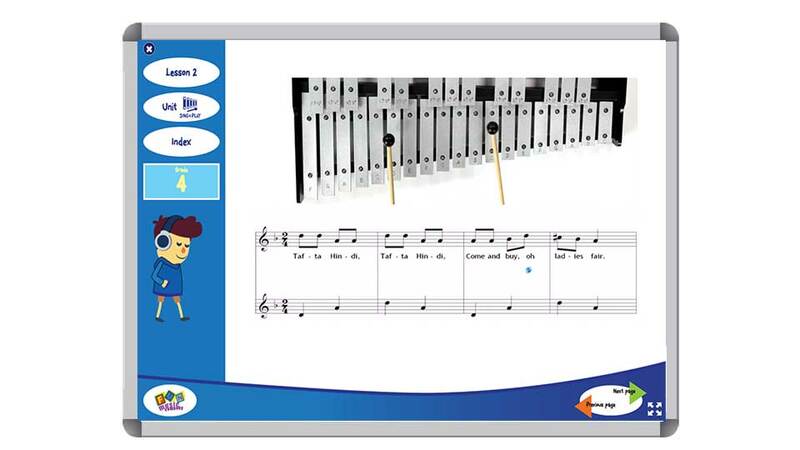 Each piece has both singing and playing elements and is presented over either two or three of our lessons. 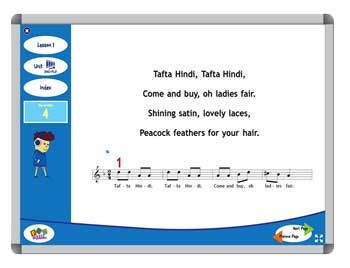 We begin with the Middle-Eastern folk tune Tafta Hindi, then we learn the fun Monkey and Turtle song from the Torres Strait, before learning the Australian folk song Click Go the Shears and the fun action song Bim Bom. 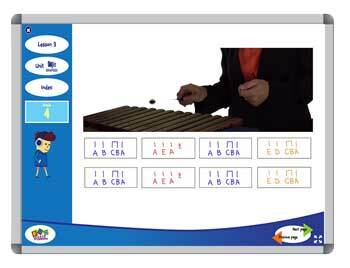 In the COMPOSE unit of Grade 4 children will work on manipulating and organising sounds, creating improvisations and then notating their improvisations. 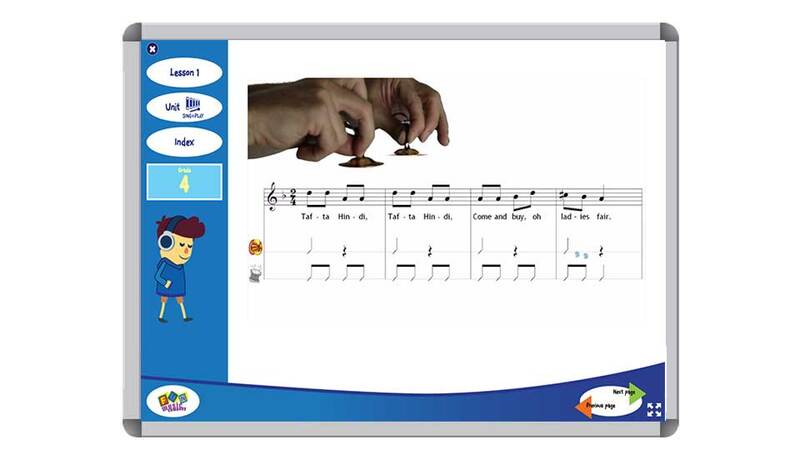 We begin with improvisation using five consecutive notes from the A minor scale, and then the students notate their ideas using stick notation. 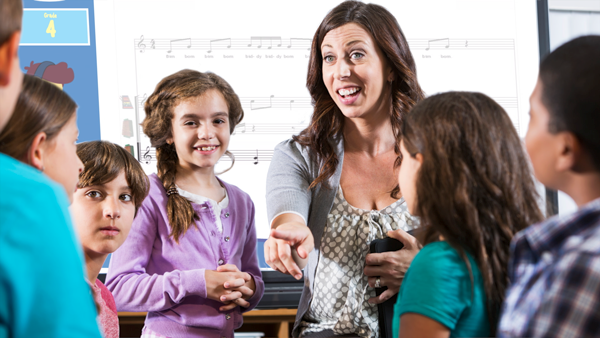 In the CONNECT unit of Grade 4 students will listen to a wide variety of music from Mozart to Midnight Oil.